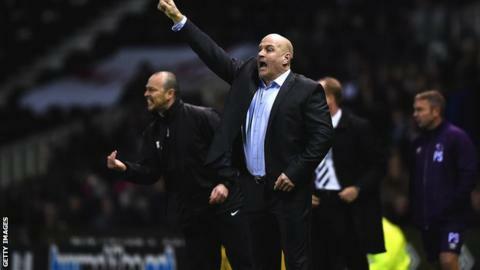 Gary Brabin has left his position as manager of Conference club Southport to take a coaching role at Everton. The 44-year-old, who had been in charge of the Sandgrounders since October, will be part of the coaching staff up to under-21 level at Goodison Park. Paul Carden, who had been Brabin's assistant, will now take charge of Southport, who lie 20th in the table. Brabin, who previously had spells as manager of Cambridge United and Luton Town, is an Everton supporter. "We gave Gary a manager's post after a couple of years out of the game," said Southport chairman Charlie Clapham in a club statement. "It is a compliment to both Gary and Southport that Everton want our manager for such a prestigious role. "It's Gary's lifelong ambition to be part of Everton and sometimes in life things happen when you are not expecting them to. I would not want to stop Gary achieving his ambition and genuinely wish him all the best." Brabin, who previously had a two-month spell in charge of Southport in 2008, replaced Martin Foyle as manager and led the club to the third round of the FA Cup, where they lost to Championship side Derby County.